Hawthorn Suites by Wyndham Philadelphia Airport is the perfect hotel for the overnight business guest, tour groups, project teams, relocations, temporary and corporate housing in the Philadelphia area. 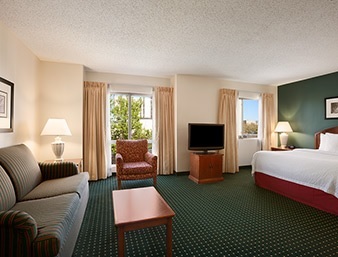 Located minutes from downtown Philadelphia and Philadelphia International Airport, this hotel provides complimentary shuttle service to the airport and the train station. Description: Meeting room located right off the main lobby area. Perfect for small to mid sized groups for meetings, family gatherings, or small receptions.